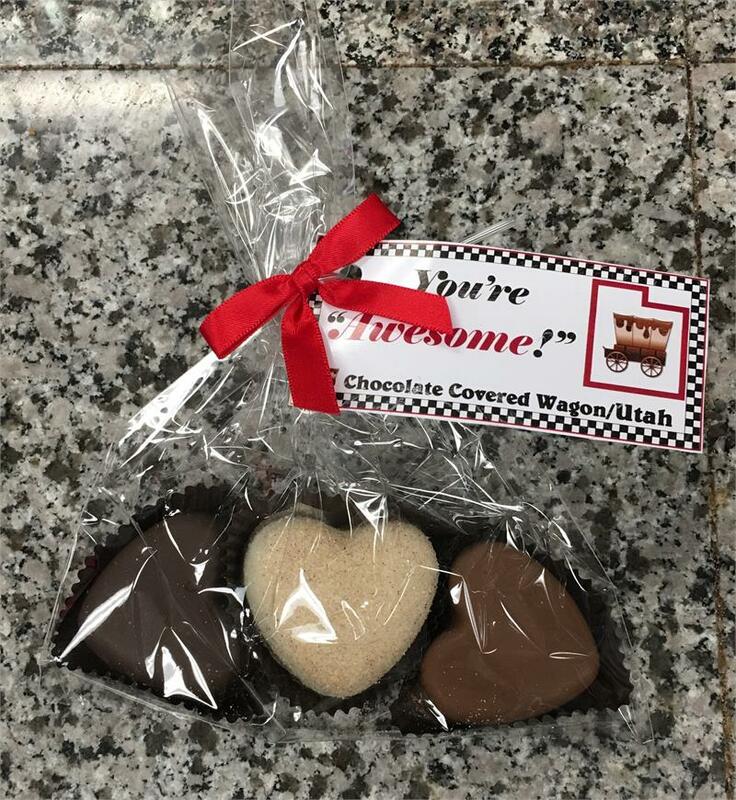 Our caramel chocolate hearts are AWESOME and come with a heart warming message on the tag! 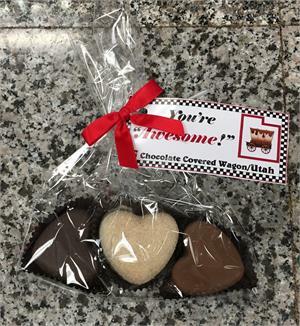 The three piece consists of one milk, one dark & one white w/cinnamon & sugar heart. © 2019 Chocolate Covered Wagon (TM) and Trolley Taffy Station (TM) , All Rights Reserved.